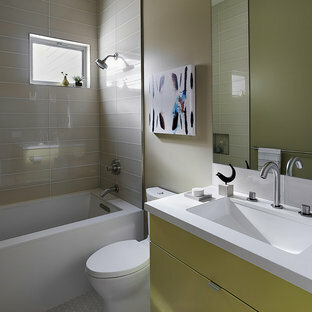 This bath was designed by Dawn Whyte, of Designs by Dawn, a StarMark Cabinetry dealer in Petosky, Michigan. 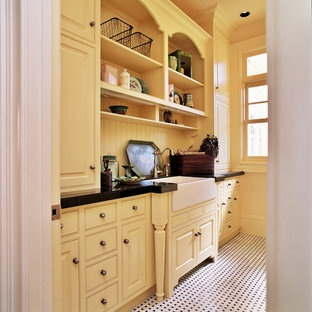 The perimeter cabinets were created with StarMark Cabinetry's Stratford door style in Oak finished in a cabinet color called Eggnog. 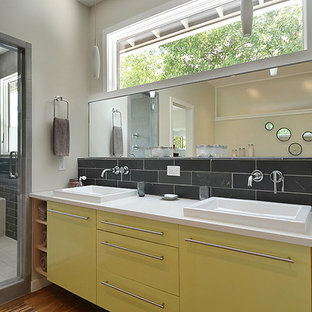 The drawers have optional five-piece headers. 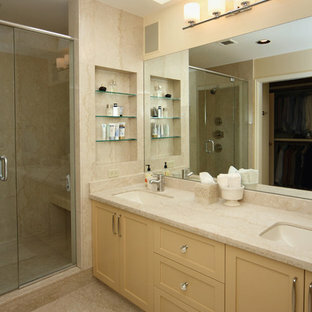 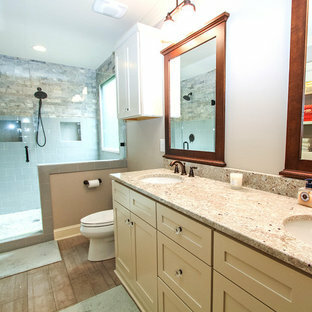 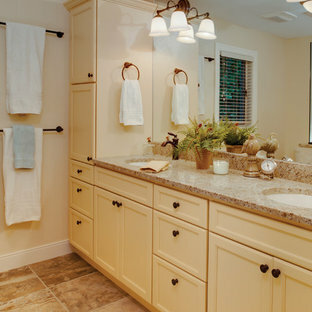 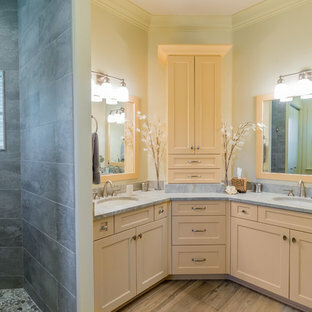 By Morris Cooper Design Inc.
Bathroom renovated in classic neutral colours and textures. 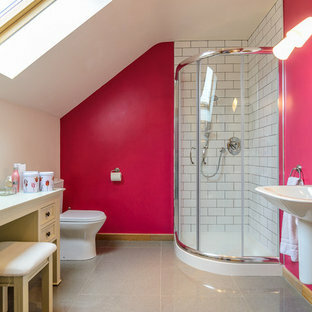 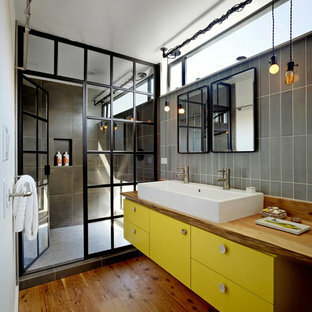 Beautiful stand-up tiled shower, complete with handshower and floating shower bench.